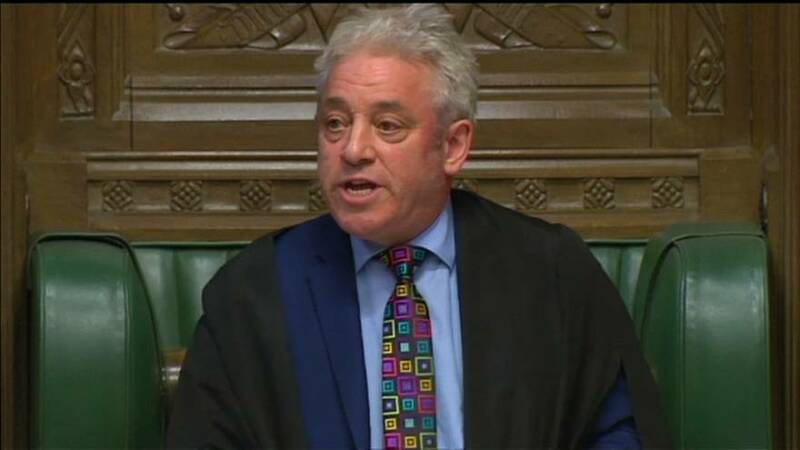 John Bercow said he would not allow Theresa May's motion to be put to parliament again if it looked 'substantially the same' as the last time she put it to the House of Commons a week ago. It is a move which appears to have taken May by surprise and thrown her Brexit plans into further confusion. Bercow has dashed her hopes of having a third parliamentary vote on her withdrawal deal unless MP's are given a new proposition. "What the government cannot legitimately do is resubmit to the House the same proposition, or substantially the same proposition, as that of last week which was rejected by 149 votes." The move appears to have put the government on the back foot, with no response for this development in apparent readiness. "It's an important ruling, obviously it requires detailed consideration and we will be looking at it closely and coming to a view on it." Instead of pushing on with her deal, May is now left with carrying out the one thing parliament has backed: asking the EU to extend the Brexit process. "It is highly likely and expected that the European Council will require a clear purpose for any extension not least to determine it's length and the European Council has to approve an extension by unanimity." The UK could still leave the EU on March 29 with no deal but the Speaker's intervention now makes it more likely that the Prime Minister will ask for a longer postponement, which many who support Brexit are concerned could lead to it not happening at all.